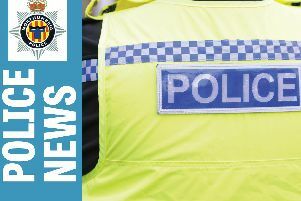 Recorded knife crimes have increased in the Northumbria Police force area over the last five years, reflecting a national rise in stabbings. Home Office figures show that Northumbria Police recorded 384 crimes in which knives were used between October 2016 and September 2017, an increase of 16% on the same period in 2012-13. The most common offence recorded for those crimes was assault with injury or intent to cause serious harm. There were 212 such incidents recorded in the 12 months to September 2017, 55% of all knife crimes. In addition, there were 150 robberies using knives. Other knife crimes included four homicides, one attempted murder and 14 death threats. On Monday, the Home Office published their Serious Violence Strategy, which aims to prevent young people being drawn into lives of violence. In a speech announcing the strategy, the home secretary, Amber Rudd, said that there were strong links between the rise in knife crime and drug dealing, with over half of deaths since 2014 involving a victim or a suspect using or dealing drugs. Ms Rudd said: "I've seen what's going around our streets - the zombie knives, axes and bayonets. And let me tell you, it might have had a place in medieval warfare but it certainly doesn't have a place on our city streets." Among the measures announced were new restrictions to be placed on the online sale of knives, and a complete ban on certain weapons, including zombie knives. Nationally, there were over 37,000 recorded knife crimes across England and Wales between October 2016 and September 2017, a 44% increase on the same period in 2012-13. Over a third of those crimes took place in London. The largest increases were seen in predominantly rural areas, with recorded knife crimes in North Wales, Wiltshire and Hertfordshire more than tripling. Greater Manchester was the only area in the country to see a drop in knife crimes during the timeframe.